Yesterday the change ceremony took place between Colonel Michele Devastato and Colonel Giacomo Ghiglierio. The handover was chaired by the logistic commander, general of the aerial team Giovanni Fantuzzi, accompanied commander of the 3 ^ division, Brigadier General Sergio Antonio Scalese, in the presence of the staff of the Automated Information Systems Department and of numerous military authorities and guests. In his farewell speech, Colonel Devastato has emotionally reviewed his two years of command, listing the main systems developed for the benefit of the Armed Forces, some of which were later adopted by other defense organizations, and highlighting the progress made in the increasingly important sector of cyber security. The greatest and most heartfelt thanks to Colonel Devastato was for the staff of the ReSIA, who allowed him to achieve the objectives set by the superior authorities and for his family, of which he highlighted the emotional and moral support received. He finally wished the best wishes to Colonel Ghiglierio, expressing the certainty that the qualities of the latter will lead him to face future challenges with momentum and success. 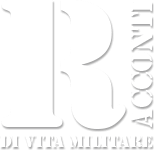 Colonel Giacomo Ghiglierio, after thanking the leaders of the Armed Forces for the task conferred to him, turned to those present declaring himself ready to devote all his energy in the interest of the ReSIA and in the service of the Armed Force. The logistic commander, general of air squadron Giovanni Fantuzzi, in his speech has underlined the successes obtained from the ReSIA under the guide of the Colonel Devastato and has expressed the maximum trust and esteem for the Colonel Ghiglierio. Moreover, referring directly to the staff of the ReSIA, he reiterated the centrality for the FA of the sector ofInformation & Communication Technology and has announced the new challenges for the coming days, with particular reference to the effective use of new technologies such as Blockchain, machine learning and Artificial Intelligence to name a few. On these issues the ReSIA will be the protagonist and forerunner for the Armed Force.